Jonathan Erlich, Businessman from Vancouver, B.C. miraculously escaping alive from the Taj Mahal hotel during the recent terrorist massacre. It will be an evening of tribute, resolve and renewed dedication, when an all-star line-up of Israel’s singing greats come together for a Hakhel Unity Concert. Chabad of Florida invites everyone to participate in what is to be the largest “Hakhel” gathering in South Florida, on Thursday, December 18, 7:00 pm, at the Chabad-Lubavitch Educational Center on the newly inaugurated Cohen-Danial Sports Field. The program will be dedicated to the blessed memory of Rabbi Gavriel and Rivka Holtzberg, Chabad emissaries of Mumbai, and to all of the victims of the recent terrorist attacks in that city. The Holtzbergs were selfless in their devotion to the small Jewish community of Mumbai and to the many Jewish travelers who passed through their Chabad House. It is appropriate that we honor them by coming together as one community—regardless of our different backgrounds—turning our pain into action, our tears into growth. Collectively we will demonstrate our determination to continue on our personal missions, undeterred by the actions of evil people. 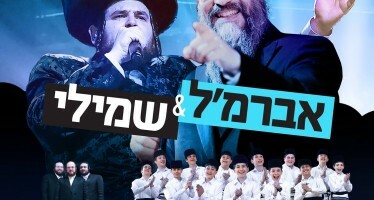 Heading the evening’s entertainment are popular Jewish singing stars Dedi, Amiran Dvir and popular singing group Oif Simchas. Refreshments and delicious kosher BBQ will be available for purchase. There will also be a great opportunity to purchase sale-priced jewelry, Judaica and gifts for Chanukah from the numerous vending booths that will be on the site. Hakhel, which is Hebrew for “gathering,” is one of the last commandments in the Torah. It is an inherent part of the seven-year agricultural cycle. On the Succot holiday immediately following the sabbatical year, (2008 – 5769 is the prescribed time for Hakhel as last year was a sabbatical year), the people of Israel would gather in Jerusalem at the Temple, and the King of Israel would read selected portions from the Torah. Hakhel was a gathering of momentous proportions, as Jews of all ages from all over the country gathered together to reaffirm their unity as a people and their commitment to Jewish traditions. This year’s Hakhel Unity Concert will be a celebration of Jewish unity and solidarity, and our commitment to carry on in the face of adversity. It is open to young and old, visitors and residents alike, and admission is free to all. 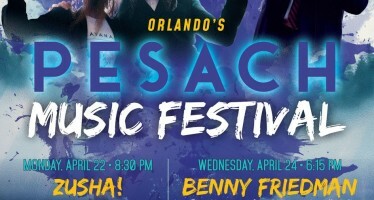 For further information, or if you wish to become one of the evening’s vendors, or to help sponsor the program, please call the Lubavitch Educational Center office at (305) 653-8770, ext. 2002.